I hope you all had a wonderful Thanksgiving with your friends and families! I think I’m still full but I’m already trying to figure out creative ways to work with leftovers – so if you have any, please share them! While Clint and I are excited to have a date night planned for tonight, I don’t plan on venturing out for in store Black Friday shopping today. I will be (kind of already have been) shopping from the comfort of my couch today (and hoping the boys take good naps today so I can do more!). 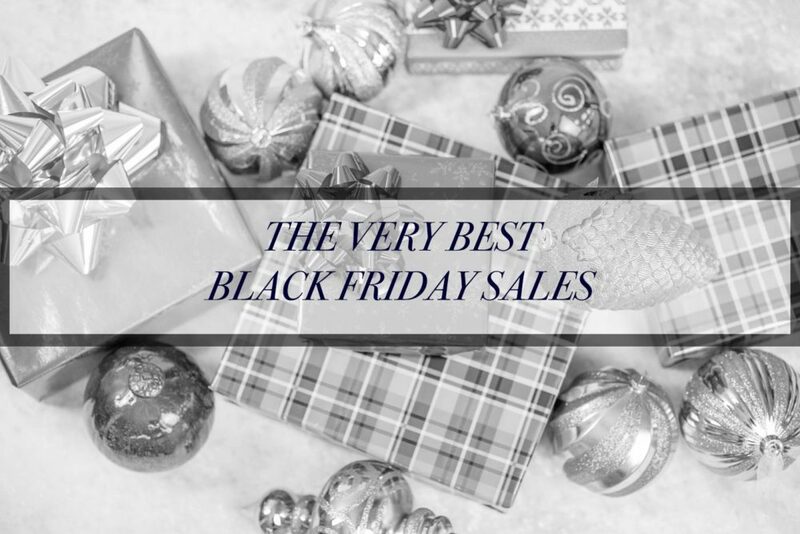 I’ve listed out my favorite sales below and some of the best picks from the ones I’ve already managed to shop. So are you ready for possibly the biggest sale round up I’ve ever done? Well, read on and happy shopping! And be sure to check out the Shop the Sales page (under Very Merry Holiday on the top navigation bar of this site) for daily updates on sales and my favorite picks from each one! Colleen Rothschild // ALL SKINCARE 30% off Sitewide with the code BLKFRI. No big sale but check out their newest Black Friday release, the Featherlight Collection featuring a custom, digitally engineered print by Brazilian artist Janaina Milheiro. These pants are my favorite and I love this tank. 25% off site side (see why I love these products here) + check out the launch of their latest product, the Stay Polished pouch. There are such great sales going on. Can’t wait to check them out! Thanks for sharing!!! Such a great roundup of sales! There are so many good ones this year! This is a great round-up! I need to get shopping ASAP! What a great sales!! I am all for shopping. Seriously great sales here!! I’m so excited to shop some more! Such a good round up! I need to start shopping for other’s gifts asap! I did some shopping on Black Friday and was able to get so many great things for my family members. I can’t wait to shop the Cyber Monday sales! An awesome sales list. I am wanting to buy a Google Home Mini!